Posted on 7, February 2019 by EuropaWire PR Editors | This entry was posted in Belgium, Energy, Gas & Oil, Environment, France, Germany, Infrastructure & Utilities, News, Sweden, United Kingdom and tagged electricity, Giles Dickson, Hornsea 1, offshore wind farms, Walney 3 extension, wind energy, WindEurope. Bookmark the permalink. BRUSSELS, 7-Feb-2019 — /EuropaWire/ — According to new data made public by WindEurope, the size and scale of offshore wind continues to rise in Europe. 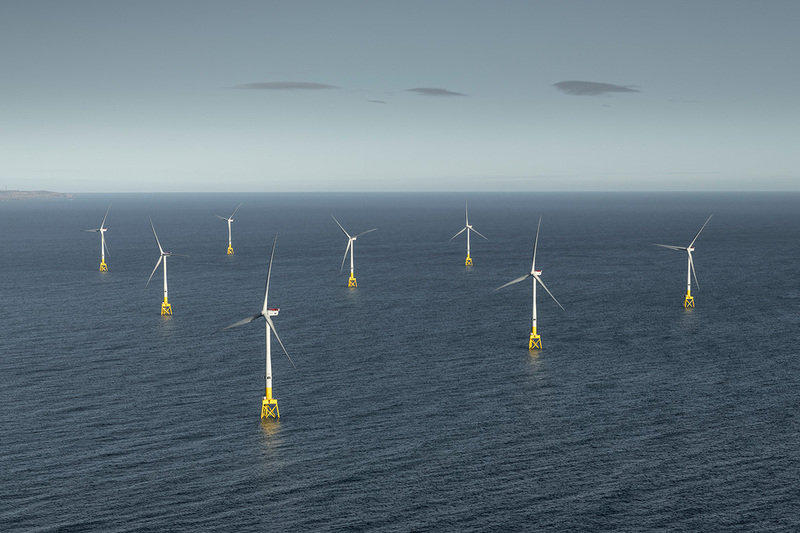 As of February 2019, Europe already has 105 offshore wind farms across 11 countries with a total capacity of 18.5 GW, which represents around 10% of the total installed wind energy capacity in Europe. The remaining 90% is onshore installations. In 2018 alone, 2.6 GW of new offshore wind energy capacity has been installed in Europe, which is 18% increase in Europe’s offshore wind capacity. According to WindEurope’s CEO Giles Dickson offshore wind now represents 2% of all the electricity consumed in Europe. UK and Germany are the most active countries in the offshore wind energy and are with the biggest share of the new capacity installed. 1.3 GW has been added in the UK while in Germany the new installations are for 969 MW. On the other side are Sweden and France. Sweden is not building any offshore wind despite its great potential while France still has no offshore wind farms at all. The size of the new turbines grows too with 6.8 MW being the average in 2018, which is 15% up when compared to 2017. The world’s largest offshore wind farm is the Walney 3 extension, 657 MW and is located offshore UK. UK has also installed the world’s biggest offshore turbines – 8.8 MW. Germany and Belgium have also opened their largest wind farms to date. Six offshore wind farms are currently under construction in Europe, including the world’s first +1 GW offshore wind farm, which is Hornsea 1 in the UK. Furthermore, 12 new offshore wind projects reached Final Investment Decision in 2018, which will add 4.2 GW of additional capacity. The investments in offshore wind projects during 2018 is also up by 37% over the previous year, but the capacity covered was up 91%. This indicates how quickly costs are falling in the industry. “Offshore wind continues to grow strongly in Europe. The total capacity expanded by a further 18% last year. Offshore wind now represents 2% of all the electricity consumed in Europe. And with a big pipeline of projects under construction and development, this number will rise significantly.